In this episode, the Swedenborg and Life team takes viewers through an exploration of Swedenborg’s spiritual experiences, comparing the process of physical fermentation to a spiritual, mental, and emotional process called “spiritual fermentation” that tells us about the way we grow and adapt to life spiritually. Is fermentation the key to understanding why the world is the way it is? And why does the Bible describe Jesus turning water into wine? Is alcohol really the answer to life’s problems? And how could all those points possibly be connected? Keep reading to find out. A level playing field: Everybody has access to the means of spiritual growth. Free choice in spiritual matters: We can decide to either pursue that path or not. Throughout most of his work, Swedenborg rails against the idea of predestination—which was a big deal in Christian thought during his time period. Swedenborg argues that we are entirely spiritually free. There is universal access to the means of salvation, which means that anyone, anywhere must be able to reach God, no matter what resources they have. Swedenborg was radical in his day (the mid-1700s) for saying that anyone, from any religion, is able to get to heaven. We all have the means to salvation, which means that we all have the ability to reject evil and accept the love of God (however we visualize that being) into our hearts. Everyone is saved who believes in God and leads a good life. Swedenborg wrote that everyone can reach God from wherever they are. God’s divine love makes it possible to reach out to everyone at once, while divine wisdom provides a way for people to see and know God. 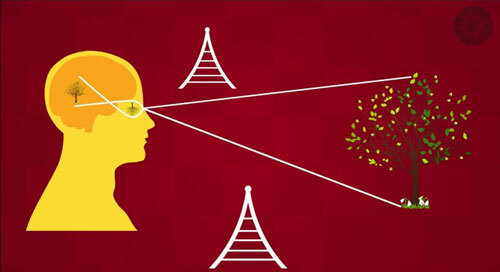 This has been done for ages, according to Swedenborg, through the language of correspondences—the idea that things we see mean more than they appear to mean. An illustrated reading from Heaven and Hell §89 gives gorgeous insight into how correspondences work. Just as simple objects like flowers have a deeper spiritual correspondence, so do in-depth processes—like fermentation, the subject of this episode. Jesus Christ turned water into wine, something that not everyone would think of as a wonderful thing. Is it really that life-changing to have a party overflowing with booze? What is the means and process of salvation? To see an example, we have to look into another physical process: vision. We know that our physical senses impinge on our consciousness, but Swedenborg says that our spiritual sense of vision impacts us as well. We are caught in the crosshairs (as you can see in the two triangular cones in the image to the right of the influence of heaven and hell, which affects how we think and feel. Every time we’re impinged upon by a feeling or thought, we can choose to either focus on it or let it go. It’s like the practice of mindfulness or meditation, where you watch thoughts arise and choose whether or not to identify with them. This is a moment-to-moment choice that defines how we relate to heaven or hell. 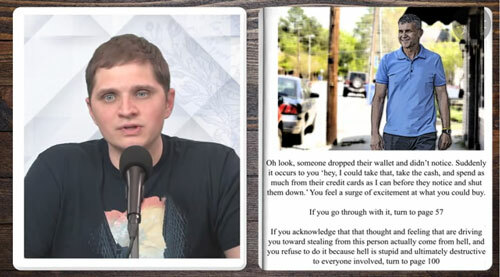 To illustrate this idea, Curtis takes viewers on a “Choose Your Own Adventure” undertaking where a choice to do either a selfish or a selfless thing determines how we feel in the end. One of the most important things in spiritual growth is to distance yourself from the negative things that come into your head. Through this process, we need to use our sense of ownership over good and evil to reject and turn away from evil that feels like something that we truly want—something that is a part of our inner self. This process is called repentance by Jesus. In fact, the first thing he is quoted as saying in the Bible is a call for everyone to repent. Watch Latin consultant Chara Daum speak about the meaning in Greek and Hebrew behind Jesus’s call to repent. Chara points out that in Greek and Hebrew, repent means a process more like changing or turning. If we look at the fermentation process, we can think of the juice before fermentation as ourselves before we begin to change. 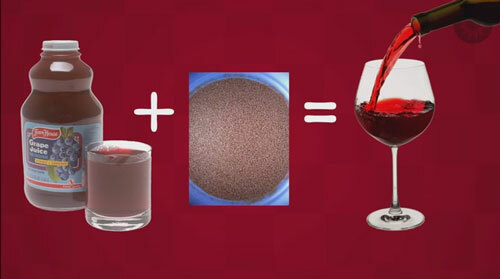 The new liquid, the wine, is what we turn into once the process is complete. 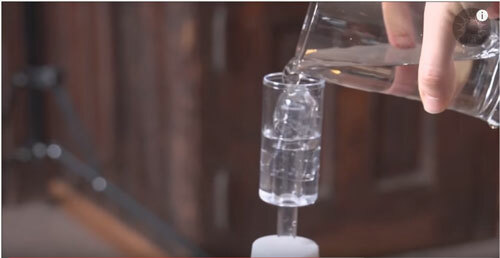 The Swedenborg and Life team decided to take on this winemaking process, and this episode is filled with clips of the team working on their fermentation goal. 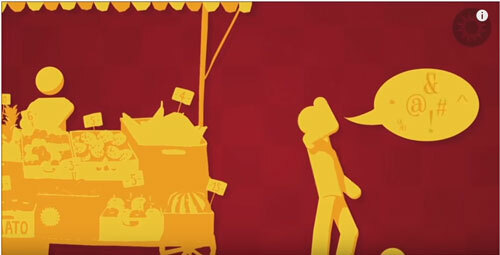 First, Curtis scares viewers with an illustration of the chemical process of fermentation. Don’t panic, though; there is not going to be a quiz. Actually, Curtis says we should just remember one thing: in this process, we’re taking glucose and turning it into ethanol. This relates (corresponds, in Swedenborg’s terminology) to the process of spiritual reformation. Reformation isn’t just about changing your thoughts; it’s about changing your feelings. These changes don’t happen all at once but happen in small steps. In this comparison, we’re starting with glucose and ethanol. These are new concepts in terms of the scientific world, so neither Swedenborg nor Jesus could have referenced them directly. However, we can make educated guesses—starting with carbon. Everything that lives has carbon in it. We can compare this to Swedenborg: he says that there is a correspondence between bread and an affection for good because bread is the mainstay of life (Heaven and Hell §111). Likewise, carbon is the mainstay of life on a molecular level. As we go through the process of repentance, we find love and peace through good things instead of bad. We have to start by examining ourselves and sorting out the bad things, rising above the evils. 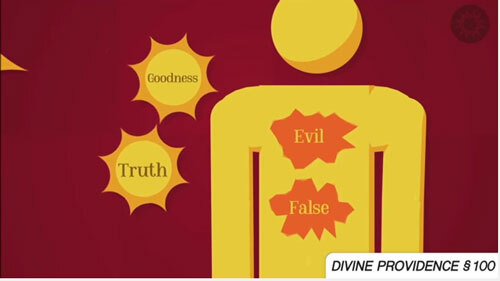 The catalyst that begins this process is to reject the evil or harmful things inside us, as illustrated in this clip. Opposites cannot exist together—the opposition between heaven and hell is incredibly strong. The process of repentance is entirely about clearing a path for good to enter by getting rid of the evil. Before we start part four, watch the Swedenborg and Life team put some wine together piece by piece. In this process, we have to make a change first, without necessarily enjoying it, and wait for the enjoyment to come later. So when do we know we’re doing it? What is enough? Doing anything to move in the right direction will kick-start the process of starting heaven in your own life and mind. The catalyst that causes this change is represented by the yeast in fermentation. Swedenborg actually talks about yeast in Secrets of Heaven §9992:2, where he compares it to false ideas that arise from evil, whether it’s the negative impulses inside us or evil things in the world. When these false ideas are near something good or something true, a conflict or agitation arises. For this process, we also need oxygen. Breath and the lungs correspond to truth in Swedenborg’s works—just as oxygen provides fuel to the oxidization process inherent to fermentation, truth provides the fuel to multiply the bad feelings at the beginning of the process of repentance and reformation. New ideas bring about bad feelings because they involve difficult changes. Swedenborg writes that this is a necessary part of reforming our spiritual self—the bad stuff gets swept up, multiplies, and then slowly goes away so the Lord can replace the bad stuff with good stuff. 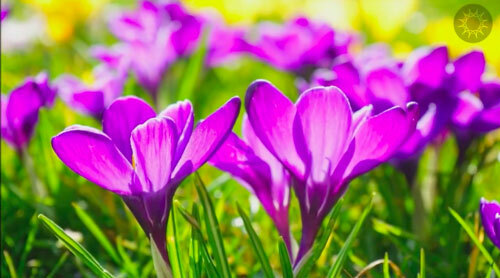 We have to put up a fight against bad urges, and this fight is usually painful and hard. But the goal is still the same: you get to the end of the process, and you have purified wine or a new love of something good from the Lord. This brings us to the next stage, which is secondary fermentation. 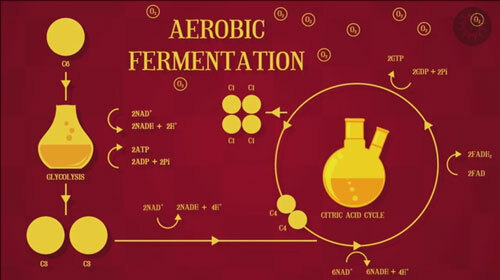 Curtis begins by intimidating everyone with another chart, this one detailing the chemical process of secondary, or anaerobic, fermentation. 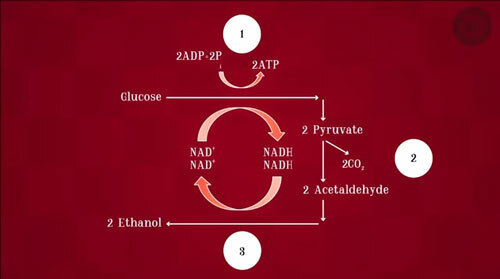 Anaerobic means “lacking oxygen.” Yeast can no longer feast on oxygen, so it turns around and starts producing ethanol. Now there is significantly more new liquid being produced—the juice is starting to become wine. This reflects our spiritual rebirth; we have to become new and grow into the new heavenly ideals that we are trying to become. Wine symbolizes sacred truth, which means truth that has been lived. When water (which represents truth) turns to wine (sacred truth), truth gets to become real and put into action. Living the truth turns it into reality—the sacredness of wine comes from the idea that there is a difference between reading true ideas or knowing true ideas and actually living them. Once you live out the truth and start to love it, it becomes part of your life. Watch this section to see Curtis read Swedenborg’s description of regeneration in True Christianity §571 and pair it with the different clips of the team’s fermentation adventure. The turning point is the part when we get to start to be happy about a hard change that we’ve made. This is the part of our own regeneration when we get to ask the Lord to fill us with good feelings about a change that we decided to make. This corresponds to the changing of the liquid through fermentation. Watch this well-crafted clip to see a little more about the way our actions change our loves, with good actions eventually bumping the bad ones out of place, as long as we have replaced the bad ones with good ones. The evil is pushed out to the side, and the Lord keeps us from those “dregs,” just as the dregs in the wine collect in the bottom of the glass. Even angels have these dregs—they are still going through this slow process in heaven (Divine Providence §79:3). Communities in general go through this process as well, to unite the good things and push away the bad. Bad things do happen, and they have a purpose. This difficult process happens in everyone, and we are all on a spiritual path to a better life, no matter where we are on that path. Swedenborg speaks of a ruling love in all people. Does he ever talk about how to find it? Did Swedenborg have any thoughts on Justification and Sanctification? Does Swedenborg talk more about the process of trees and how they are planted and grow and bring forth fruit and how that relates to humans and our regeneration process? Why was Jesus the only 12-year-old regenerate in a human form, and we regenerate here on Earth and then regenerate as a spirit when we die? Did Jesus regenerate as a physical natural being after he died? If God loves life why did he make it so we have to kill animals to survive as our food source? What if we repent, but we have no will power. How do we connect with the Lord to strengthen our will power? How do we know when evil is persuading us? It can sound like our mind, our voice and sometimes sounds so very reasonable. I fear not knowing the difference. Isn’t loving God and your neighbor as self the whole of the law? Furthermore, all traditional nuances are like the outer garment?